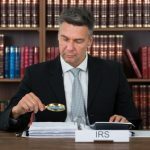 The IRS has strict wage garnishment laws to enforce debt collection on unpaid taxes, no matter whether we talk about Texas or any other state. 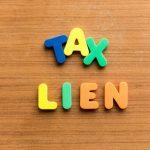 If a taxpayer voluntarily or involuntarily evades or defaults paying their taxes, the IRS can impose a wage garnishment to ensure the defaulter clears their dues. In cases of wage garnishment, the IRS contacts the employers of the defaulting taxpayer directly and asks them to deduct a specific amount from their salary and sends it to the IRS. The worse part is, unlike other creditors, the IRS directly levies a wage garnishment without taking the defaulter to court. Let’s take a closer look at the finer lines. The IRS gives taxpayers enough time and opportunities to honor their obligations before it levies wage garnishment. The IRS first makes all attempts to contact the taxpayer regarding their unpaid dues using all possible channels. If the taxpayer doesn’t respond, the IRS sends a “Notice of Intent to Levy”. If the taxpayer does not respond to the notice, the IRS forwards the notice to the taxpayer’s employer. Once the employer is notified, the taxpayer has two weeks to respond. If the taxpayer fails to respond again, then the garnishment begins. 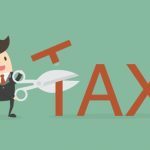 How to Stop Wage Garnishments? Even after the process of wage garnishment has begun, there might still be some time for redemption. You can enter into a tax payment plan or request the IRS for a delayed collection of taxes. 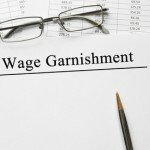 Here are some of the ways you can stop a wage garnishment. You can also stop wage garnishment by entering into an installment agreement and paying your dues through affordable monthly installments. In fact, if you pay the full amount due, you can reduce or even completely get rid of the interest accrued and/or the penalties linked to your unpaid dues. If you are unable to pay your taxes in full, you can request the IRS for an Offer In Compromise (OIC). If a taxpayer proves that their financial situation does not allow them to pay the due taxes in full, they may get a part waiver that allows them to settle their dues by paying less than the actual outstanding amount. 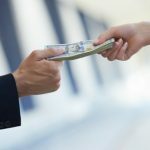 If a taxpayer changes their job, the wage garnishment process comes to a halt, which is why some people temporarily quit their job and rejoin after some time. A job change, however, is a temporary solution. 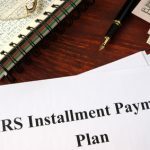 Although the IRS takes some time to discover that a taxpayer has rejoined, but as soon as it does, it reinitiates the wage garnishment process. These are just some of the many ways to stop wage garnishment in Texas. The best way, however, is preventing wage garnishment in the first place. If you have received a “Notice of Intent to Levy” from the IRS or a wage garnishment has already been levied on you, waste no time in contacting the Law Offices of Nick Nemeth. No matter the complexity, we will be happy to help you resolve all your IRS tax problems. To get a no-obligation free consultation with Nick personally and learn how we can help stop a wage garnishment, call us at 972-627-4705, or fill our contact form and we will get back to you right away.